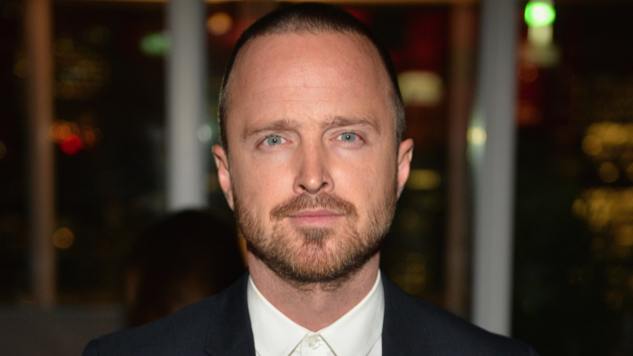 HBO’s blockbuster sci-fi series Westworld is adding an exciting new cast member in Aaron Paul, best known for his breakout role in AMC’s Breaking Bad. Though the details of Paul’s character are being kept under wraps, Deadline reports that the Emmy-winning actor will become a series regular in season three. We look forward to finding out whether he’s a human, a host or something else entirely. Though Paul’s performance as Breaking Bad fan favorite Jesse Pinkman set the bar awfully high, he’s been no slouch since, starring in Hulu’s acclaimed The Path (which concluded its three-season run in March) and lending his distinctive voice to Netflix’s Emmy-nominated BoJack Horseman. His addition to the Westworld ensemble is an exciting one, as it heralds Paul’s return to the prestige TV spotlight. He’ll be following in the footsteps of his Breaking Bad co-star Giancarlo Esposito (aka Gus Fring), who made a brief but indelible appearance in Westworld season two. Westworld’s latest season wrapped in June, but by then the show had already been renewed for a third. No word yet on when we can expect season three, but considering the near year and half-long gap between seasons one and two, we aren’t holding our breath for Paul’s HBO debut. Per THR, Paul is currently shooting the first season of Apple true-crime anthology Are You Sleeping.